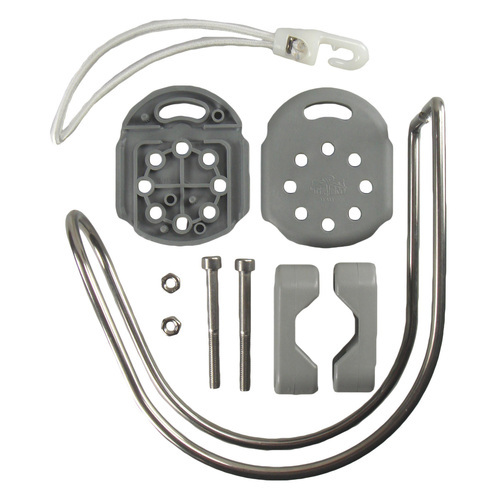 The Lifebuoy / Rope Holder tidies up loose ends during storage and can be fixed to boat rails or attached directly to a vertical surface. 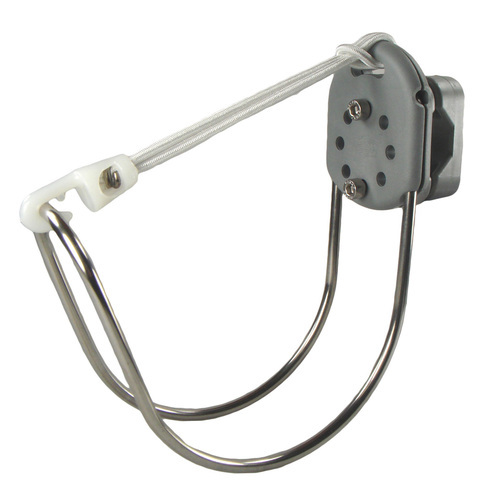 The lifebuoy / rope holder is a useful addition to help tidy up and secure ropes or lifebuoys. It fixes to your pulpit (or pushpit) rail using a simple yet versatile attachment which can be mounted in numerous angles making sure the holder can be installed level. The pulpit rail mount holder allows for the tidy storage of rope whilst it is not in use or a lifebuoy to keep it tidy yet easily accessible. 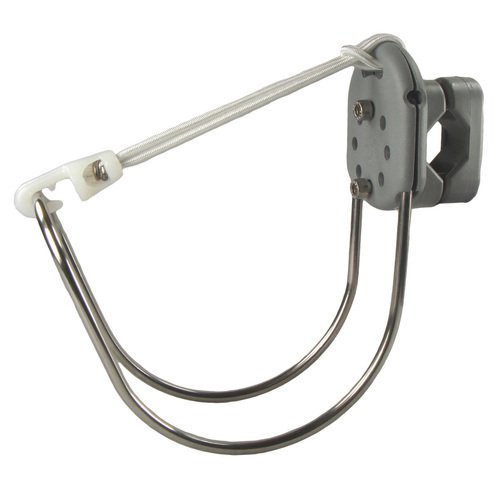 Each holder comes complete with an elastic clip to secure the items in place. - A less cluttered deck is a safer deck! 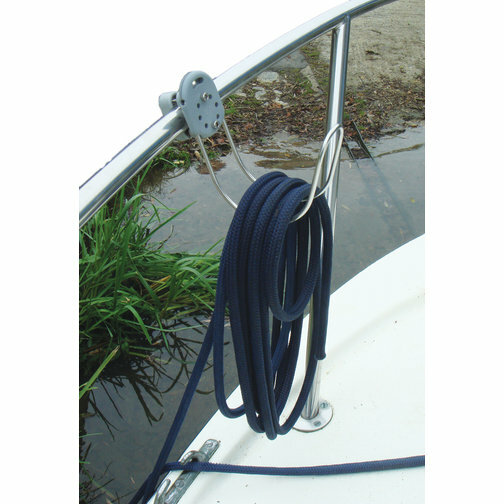 These boat pulpit rail rope holders can be fixed to boat rails between 19-25mm in diameter only. 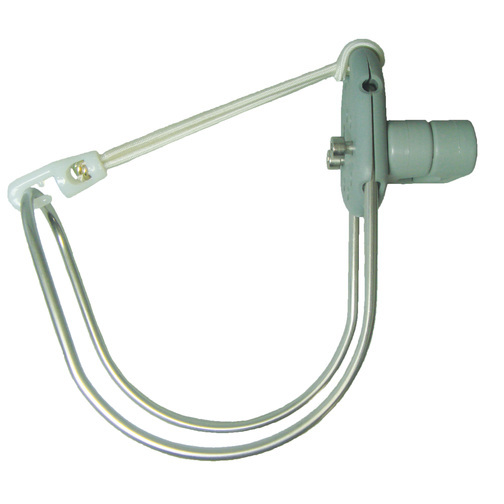 The Stainless Steel Rail Clamp can be used in conjunction with this boat rope holder for boat rails of 30, 35 or 45mm.